The Type 4 Ke-Nu was created to provide improved fire support to combat engaged IJA divisions all around the Pacific theater. At the same time, the upgrade of the original Type 97 Chi-Ha medium tank was taking place. It swapped, in 1942-43, its short low velocity Type 97 57 mm (2.24 in) main gun with a newer high velocity, long barrel, Type 1 47 mm (1.85 in) anti-tank gun in a modified turret to increase its firepower, range and increase internal space. This left the many original Chi-Ha turrets with no purpose to fulfill. Many were sent to reinforce fixed defenses on various islands, but others were available for any kind of chassis-turret marriage. 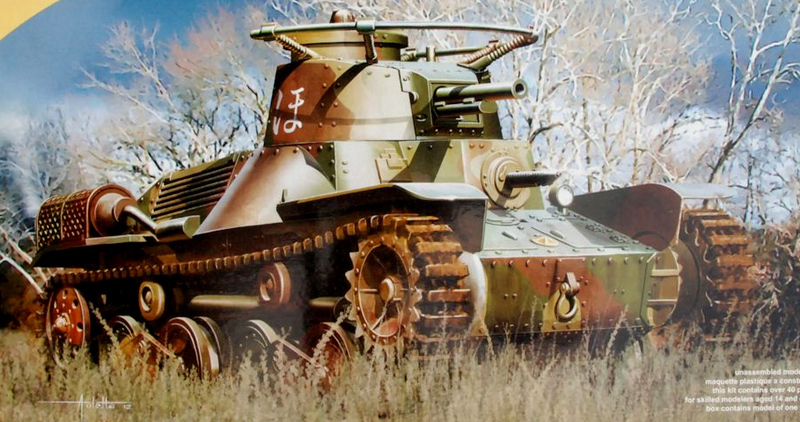 In 1942, the General Staff ordered a study of converting obsolescent Ha-Go chassis with these spare Chi-Ha turrets. The Ha-Go was, at the time, armed with a Type 94 37 mm (1.46 in) gun with limited anti-tank capabilities. At the same time, more efficient HE and AP rounds had been issued for the Type 97 57 mm (2.24 in). The resulting conversions made the new model one ton heavier and, subsequently, reduced its original top speed from 28 mph (43 km/h) to just 25 mph (35 km/h). Approximately 100 (factory conversion records are complicated to track) of this hybrid were delivered in 1944. 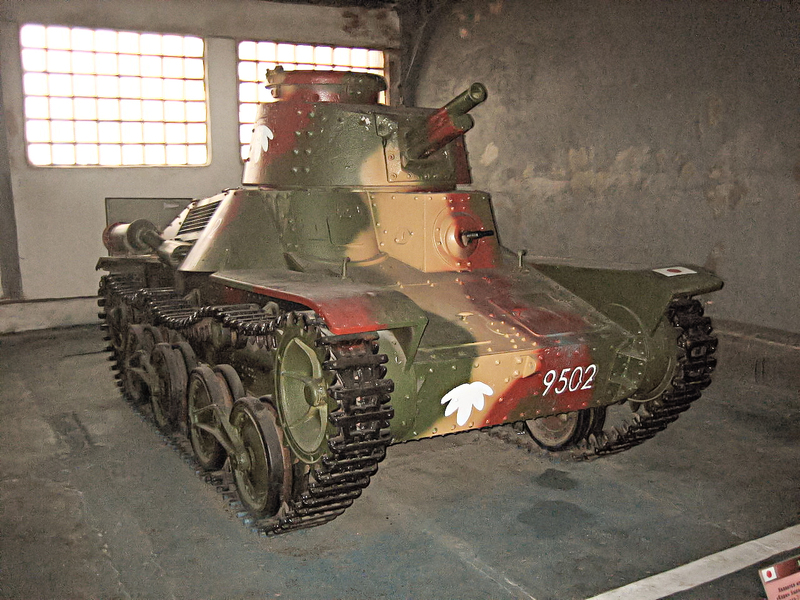 It appeared that many (if not most) were converted as radio tanks, with the characteristic horse-shoe antenna. Battle records of the type include Manchuria and Korea in 1945, but they saw little or no combat. Others were stationed in Okinawa and Kyushu, in prevision of the expected Allied invasion. A single one was captured by the Soviets in August 1945, during the invasion of Manchuria, and now is displayed at the Kubinka museum. Type 4 Ke-Nu, unknown unit, Philippines, February 1945. Why doesn’t the illustrations work? A pure light tank at its finest! 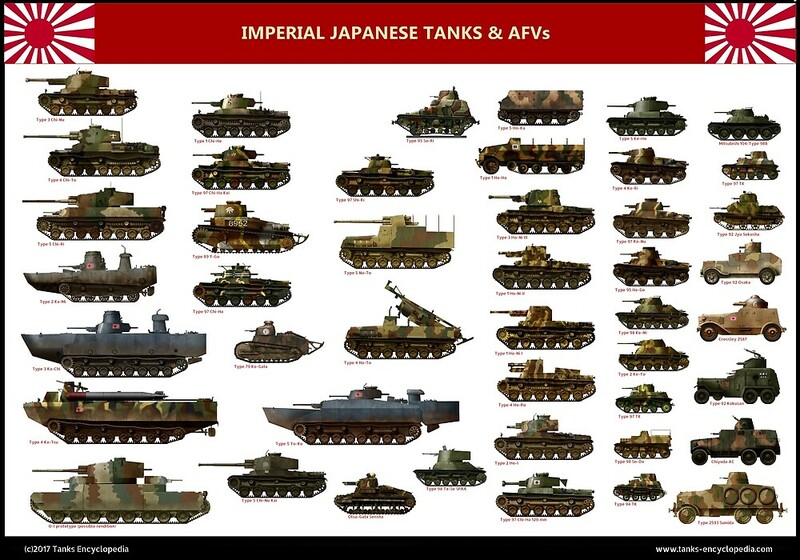 Love the designs and performance of all the ww2 Japanese light tanks! I looked up multiple Japanese websites out of curiosity, and (so far) all of them stated that Ke-Nu was never deployed outside Japanese home islands. They even claimed the Ke-Nu in Kubinka is not a genuine one, but an unofficial mating of a Chi-Ha turret with a Ha-Go chasis. I don’t know why there is such a stark contrast on the tank’s info in this regard. Well the latest research in Japan shows that a Type 95 light tank with a 57mm gun Chi-Ha turret on it is not Type 4 Ke-Nu, but Type 3 Ke-Ri II. The real Type 4 Ke-Nu is something based on Type 2 Ke-To’s chassis with the standardized diesel engine in it, although further details are still unknown. Can you share a source for that please? Also from the appendix of “The history of 4th army technology research center(四研史)”, the “Engine characteristics” page (appendix 1-1) reveals Ke-Nu is fitted with a 120*160 Type 100 air-cooled engine, not the A6120VD the Ha-Go uses. I am meanly going to disregard Wikipedia, but that other document is interesting. We’ll try to get a copy for when we rewrite this article. Thank you!